(JTA) — As Israel turns 69, world Jewry is in a state of crisis. Israel and American Jewry are drifting apart, and within each of those groups we’re seeing increased polarization on fundamental issues like the two-state solution, Israel’s democratic vs. Jewish nature and the definition of who is a Jew. Rather than wallowing in malaise, I’d like to propose a solution that could resolve many of our challenges, a Grand Bargain fit for these chaotic times. I propose that we create a class of Jewish “citizenship” that will reinvent the relationship between Diaspora Jewry and Israel, revitalize all streams of Judaism, minimize differences on conversion, strengthen Israeli democracy, boost pro-Israel pride on college campuses and possibly even put the Jewish state on the path to reconciliation with its neighbors. I sense your eyes rolling, but hear me out. The beauty of this idea is that it relies on a definition of “Who is a Jew” that is already in place. It’s found in Israel’s Law of Return, which establishes the right of almost any Jew in the world to automatically become a citizen of Israel. Step one of my Grand Bargain would be to extend this “Jewish citizenship” to anyone, anywhere, covered by the Law of Return, along with all current Israeli Jews. A Jewish citizen might not be recognized universally as a Jew according to halachah, or rabbinic law, but he or she will be eligible for something potentially of much greater value than an ark opening at the local synagogue. 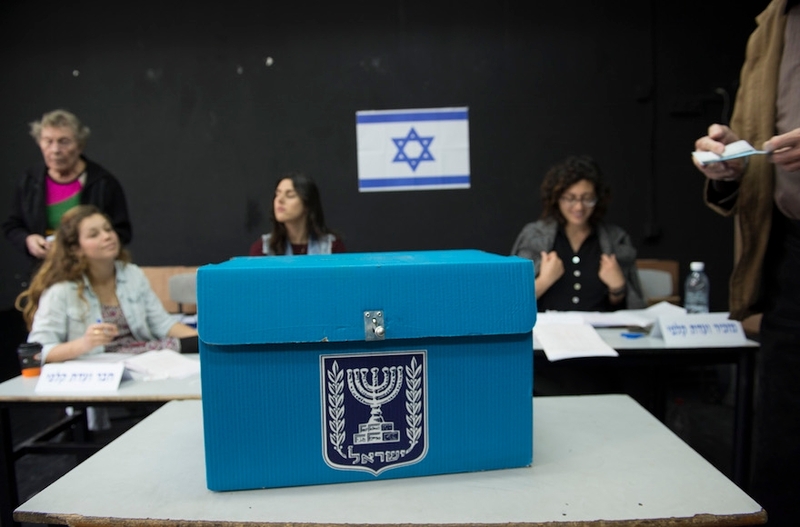 Step two: Give these “Jewish citizens” the right to vote in Israeli elections – in exchange for a real demonstration of commitment, but one that does not have to include aliyah. Think how this idea would galvanize Diaspora Jewry and transform the relationship with Israel into what it most needs to be right now: a partnership of equals. Jewish citizens would be able to participate in forging a future for the Jewish people, taking them from the sidelines and thrusting them right into the middle of the action. If Jewish citizenship is to have real meaning, there is no substitute for the right to vote for representatives of the Jewish state. Other bodies claiming to represent the Jewish people, such as the World Zionist Organization, are democratic and representative, but they have all the clout of the Mickey Mouse Club. Dual citizenship is the norm in dozens of free countries. Fully belonging to the Jewish people should mean more than the right to lobby, rally, retweet and donate. Jewish citizenship would entitle us to directly impact the future of the only Jewish state the world has seen for 2,000 years, a place that we love and wish to cultivate. What, short of actual aliyah, would qualify Jews for this citizenship? I would suggest a period of national service on behalf of the Jewish people. Each applicant would need to spend a certain amount of time in Israel, beginning, for many, with a Birthright trip, which would now have a more weighty function. Some basic Jewish literacy requirement might also be considered. Is it fair to offer benefits of citizenship to those not living in the “home base” and paying taxes there? Children of American immigrants to Israel can attain American citizenship (and vote in American elections), even if they never actually lived in America. American expats are generally allowed to use foreign taxes paid as a credit against their U.S. tax obligation. Something similar could be considered for Jewish citizens living in the Diaspora. Perhaps annual federation pledges and synagogue dues could become part of the mix, on a sliding scale that is fair and affordable. What about army service? About 35 percent of Israeli Jewish women avoid conscription, as do 27 percent of eligible men, primarily on religious grounds. Yet they get to vote, and some replace military service with the kind of national service that I am proposing. In addition, a number of Diaspora Jews already serve in the Israeli army without making aliyah. And of course Israel’s Arab citizens do not serve in the army or do national service but vote in elections. But whether or not they serve in the Israel Defense Forces, aren’t all Israelis on the “front lines”? Increasingly, Diaspora Jewry is being called upon to fight existential battles for Israel’s physical survival (as many on the right call the fights over the Iran deal and the Boycott, Divestment and Sanctions movement) and its soul (as many on the left consider the fights for pluralism, minority and women’s rights, and the two-state solution). Increasingly, terrorism and anti-Semitism threaten Jewish communities everywhere. No one can be a spectator anymore and the need to draw the two communities closer together has never been more essential. What about accusations of dual loyalty? Haters are gonna hate. Why should Jews face questions of dual loyalty when dual-citizen French, Irish and Italian Americans do not? American Jews need to get over this. But isn’t Judaism a religion and not a political entity? Jews have always been both a people and adherents of a faith, but the idea of religion divorced from peoplehood is relatively recent, pushed by Napoleon, 19th-century German reformers and mid-20th-century American suburbanites. For the vast majority of Jews today, it is peoplehood that matters most. That includes the 62 percent of American Jews who told Pew that being Jewish is mainly a matter of ancestry and culture (only 15 percent said “religion”). When 94 percent of all American Jews say they are proud to be Jewish, most are thinking about being part of a people – a people with an idea. What would David Ben-Gurion say? Back in 1950, Israel’s prime minister and American Jewish leaders came to an agreement that the State of Israel would not claim to speak on behalf of all the Jewish people. Prime Minister Benjamin Netanyahu has often ignored that memo, but under this proposal, the prime minister would truly represent world Jewry (just as the American president still represents American expats living in Kfar Saba). Ben-Gurion would say this is an abandonment of the Zionist dream of universal aliyah. But after calming down with a glass of tea and turning his visionary gaze ahead seven decades, he would see that the Jewish people today are hopelessly split and mass aliyah is a pipe dream. Bipartisan support for Israel in American politics is waning dramatically, and Israel’s democracy is in jeopardy. Desperate times require desperate measures, and it’s not hard to imagine that the most visionary individual in modern Jewish history might give this idea serious consideration. OK, wouldn’t Judaism become corrupted by politics? Have you seen the Knesset? Have you seen some of our American Jewish organizations at work? Judaism can never be completely divorced from politics, but Jewish citizenship would go a long way toward fostering the exchange of ideas and empowering the development of creative Jewish visions. If you are asking whether American Jewish life would become more Israel-focused, the answer is yes, and I believe that’s a good thing. With some actual skin in the game, American Jews would all be encouraged to engage with Israel constructively rather than throwing their hands up and dissociating from it. How would this impact pluralism and conversion? This plan places world Jewry on a trajectory toward unity rather than further disengagement. With Diaspora Jewry now part of the electoral equation, thereby marginalizing rejectionist groups that have held veto power for too long, we could begin to collaborate on thorny issues like conversion, patrilineal descent, and non-Orthodox and women’s prayer groups at the Western Wall. Old compromises could be dusted off, including conversion-related proposals of the Neeman Commission of the late ’90s and the more recent Western Wall compromise. At the very least, Diaspora and Israeli leaders would be talking about solutions rather than ignoring the problem. Would the Israeli right ever agree to this? While this plan could cost current parties some power, there’s a solid chance that those Diaspora Jews who take on the responsibilities of Jewish citizenship will skew right, both politically and religiously, because they would be more motivated and better organized than the progressives. But all Israelis should understand that the more Diaspora Jews sign on to this, the more the burdens of the Jewish future will be shared and the less isolated Israel will be. As for progressive American Jews, at last they would have a chance to feel that their concerns are being heard, and that they have the opportunity to help construct an Israel consistent with the visions of its founders, not as spectators but as builders. Nearly 22,000 American Jews voted for the Reform movement representatives in the 2015 World Zionist Congress elections. Imagine how many would be drawn to vote for an election of far greater consequence. What about Israeli minorities? Israeli Arabs might reasonably be concerned at this demographic bump of voting Jews, just as the Palestinians were petrified by the mass immigration of Russian Jewry in the 1990s. I would hope that the opportunity would be seized to imagine new ways to create two states for two peoples with two thriving Diasporas. What would it mean for Diaspora Jewry to have more than a vicarious involvement in the Jewish people’s boldest collective venture since the Talmud? What would it mean for American and Israeli Jews to view themselves as full partners, and for the varieties of Judaism emerging from each community to be embraced and shared? What would it mean for Diaspora Jews who now shun Israel to suddenly realize that they can be part of the solution? What would it mean for Jews to speak of unity – and actually mean it? Israel is 69. Time to think big.